The Aberdeen Highland Games have been cancelled due to the rain. Organisers have announced that Sunday’s event will not go ahead, as Hazlehead Park is waterlogged. Aberdeen City Council said that even if the rain stopped now, the ground would not be suitable to hold such a large event. More than 10,000 people were expected to attend the city’s games, with include heavy weights, athletics, tug o’war, Highland dancing and traditional pipe bands. A city council spokeswoman said: “Unfortunately, due to the heavy and persistent rainfall we have had to take the decision to cancel this year’s Highland Games. 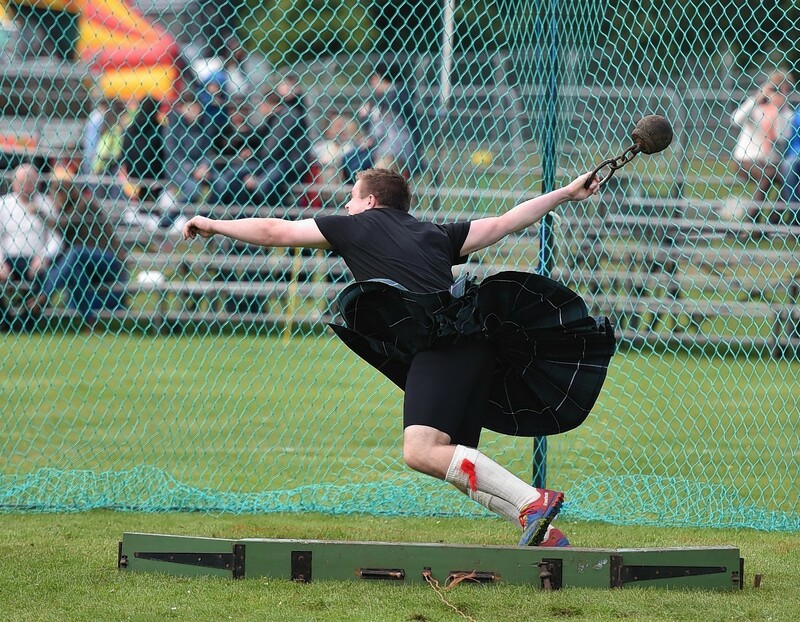 “Although disappointed we hope that everyone who had planned to visit and indeed those who had expected to participate in Aberdeen’s Highland Games this weekend will appreciate that we have not taken this decision lightly.